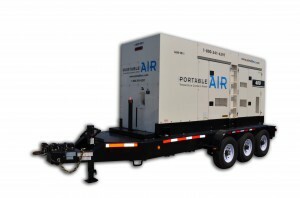 Portable Air is proud to be working with Proteus on Demand to provide temperature control & power for their 500-mancamp in West Hempstead, Long Island, NY. All for disaster recover from Hurricane Sandy. The 500-mancamp will house and feed Utility Workers while they work to restore service to the Long Island Area. When it is finished it will be large enough to park all of their vehicles, and there will be 3 sleep tents, a dining tent and a staff tent. There is mobile shower units as well.